Pastor Mark Muthler is the Lead Pastor at Coventry since 2014. Mark enjoys being around people and preaching and teaching God’s Word. 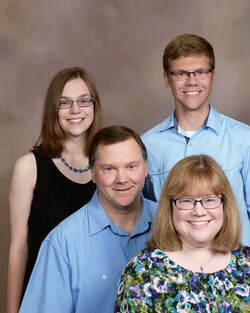 Mark and Tracy have been married for 20 years and have two children; Leah and Matthew. Tracy is one of the church secretaries and works on Tuesday and Thursday. Robin Rude serves as secretary at Coventry on Monday, Wednesday and Friday. Robin has served as secretary for seven years and works with Tracy to manage the day to day operations in the office. Robin and John have been married for 27 years and they have two children; Van and Natalie. Brad and Heather High serve as Coventry's youth directors overseeing the ministry to our children in 6th through 12th grade. They are actively involved in all aspects of youth ministry here at Coventry. Brad and Heather have four children; Emily, Ashley, Kayleigh, and Cody.